IzzyElfBlog: Wow! Deedy Really IS an Honorary Izzy Elf! Here she is getting ready to read and sign our books at MainStreet BookEnds at 2 today! 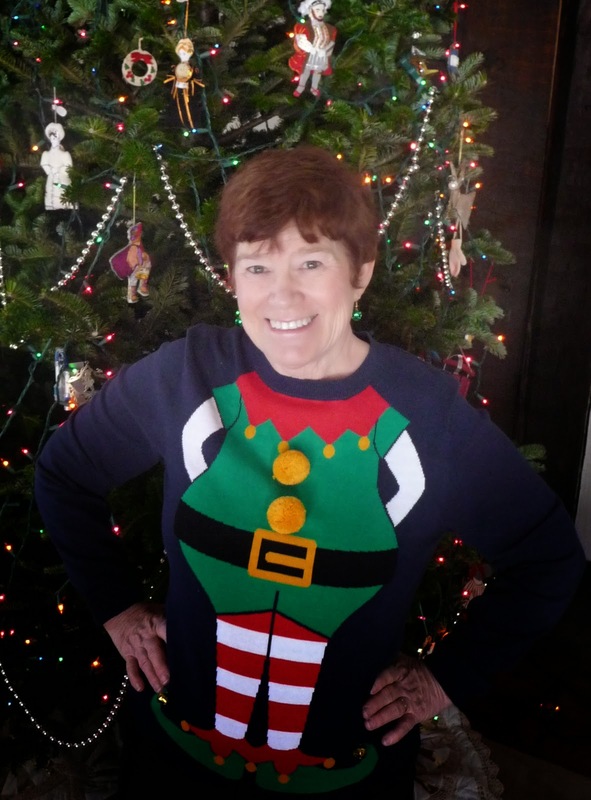 Deedy (that's Dorothea Jensen to you), says the only trouble with her elfin sweater is that it has bells, so she can't sneak up on anybody. We Izzies don't wear bells. Too noisy when we are all working in the Workshop! Of course, the reindeer all wear bells. There's nobody up in the sky to hear them except Santa!